Cardigans are going to be quite a necessity for our autumn boys and I can’t wait to see them in a range of brightly coloured, handmade ones. 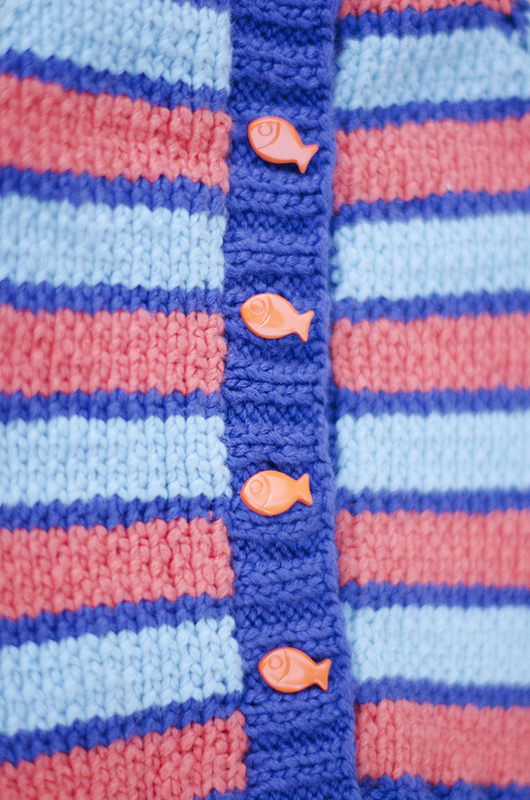 This pattern is perfect for those with little to no experience with seamless cardigan construction. It’s straightforward, detailed and easy to follow, and the finished design is both gorgeous and practical. As for the yarn, I don’t usually enjoy working with cotton, but Rowan Softknit is not only lovely and soft but braided too, so it doesn’t tend to split. It’s so easy to work with! Amber chose the colours for this cardigan (and surprised me by bringing them home for me one day), and after knitting it up and seeing the result, I’m definitely hoping to work with this yarn again.